Now this is one lucky buck. 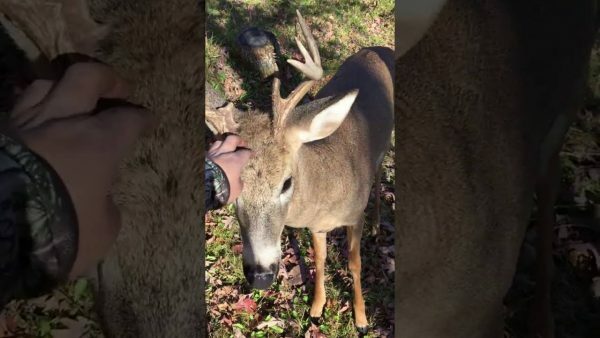 An inquisitive deer approached hunter Jordan Maxon, who had just finished setting up a new tree stand, and instead of shooting it, he pet it. “In my 12 years of hunting or the additional decade of experiences of going hunting with my dad and uncles I have never seen or experienced anything like this,” he wrote on Youtube. Maxon posted a video of the encounter on Youtube showing him scratching the deer’s head, which quickly got nearly 500,000 views. Someday this deer’s friendliness with humans is going to cost him. But not today, as this hunter showed him mercy. Watch the video to find out what happened next.